The small Norfolk village of Carleton Rode has had a varied history. Carleton Rode will share their memories, photographs and documents with us. We need information about Flax growing & processing in Carleton Rode. woody matter. We know local farmers harvested their crop and did their own retting in flax dams or retting pits. 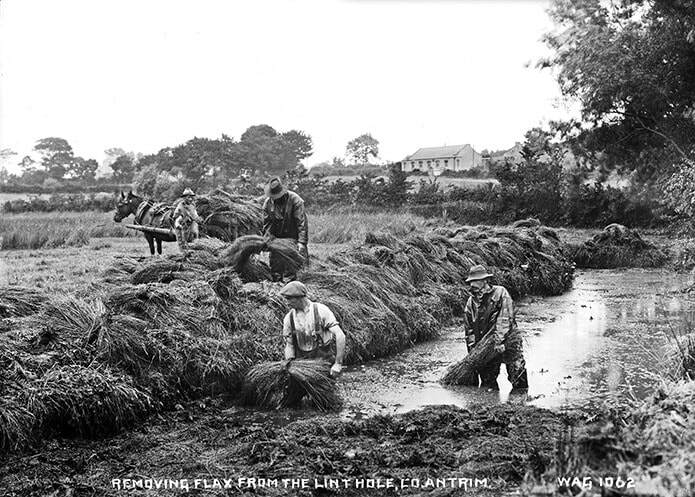 The flax after pulling, and still damp, was placed in the dam and weighted down and left for days for the soft pulp to rot. of Flax growing and processing? Please let us know.